The Yazoo land fraud was one of the most significant events in the post-Revolutionary history of Georgia and the United States. The bizarre climax to a decade of frenzied speculation in the state’s public lands, the Yazoo sale of 1795 did much to shape–and warp–Georgia politics for decades and to strain relations with the federal government for at least a generation. 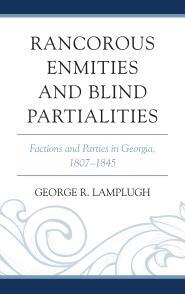 Reaction to the great land fraud guaranteed that political party development in Georgia would be different from that process in other states; divided one of the nation’s major parties; produced a landmark Supreme Court decision; helped pave the way for Indian removal; and played a major role in establishing the belief, at least among southern white males, that the theory of “state rights” was a legitimate response to the power of the national government, thus nudging the country down the road to the Civil War. 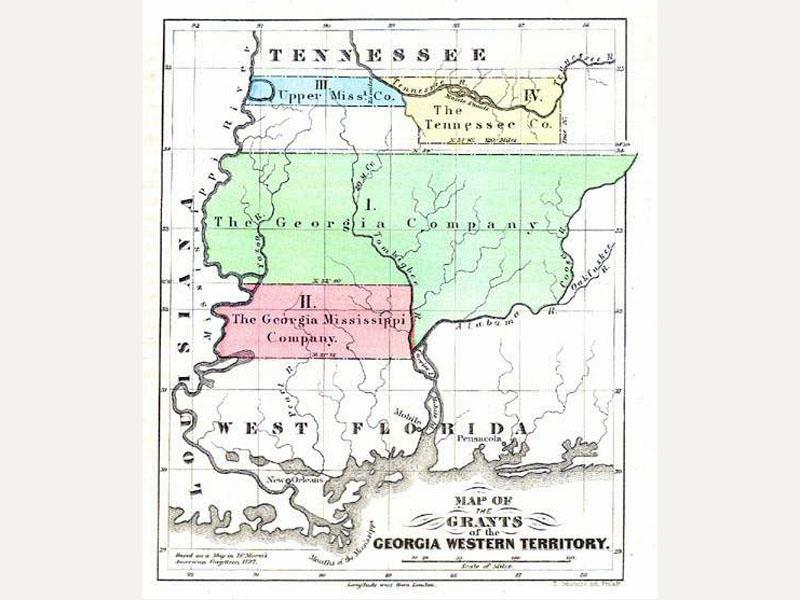 Georgia was too weak after the Revolution to defend its vast western land claims (roughly, the modern-day states of Alabama and Mississippi), called the “Yazoo lands” for the river that flowed through the westernmost part of them. Consequently, the legislature listened eagerly to proposals from companies of land speculators willing to pay for the right to form settlements there. 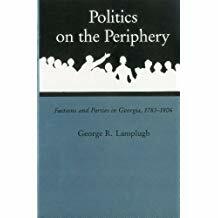 In the 1780s, Georgia supported two unsuccessful speculative projects to establish counties in the western territory, and then tried, again without success, to cede a portion of those lands to Congress. 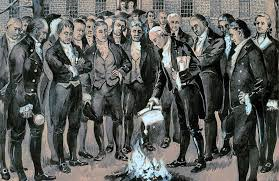 In 1789, the legislature sold about 25 million acres of Yazoo lands to three companies of speculators, only to torpedo the sale six months later by insisting that payment be made in gold and silver rather than in depreciated paper currency left over from the American Revolution. Pressure continued to build on legislators; by mid-November 1794, a majority reportedly once again favored the sale of the western territory to speculators. 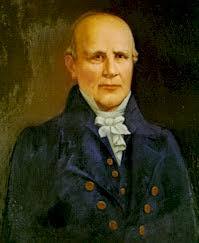 On January 7, 1795, Georgia governor George Mathews signed the Yazoo Act, transferring 35 million acres of land to four companies for $500,000 (about 1½ cents/acre). 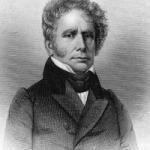 To bring off this coup, the leader of the Yazoo speculators, Georgia’s Federalist U.S. 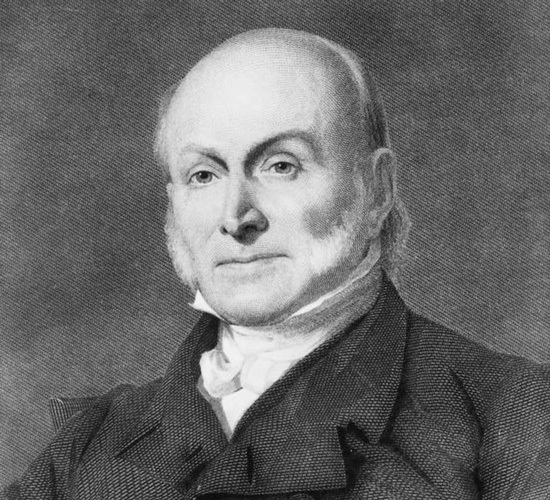 Senator James Gunn, distributed money and land to legislators, state officials, newspaper editors, and other influential, land-hungry Georgians. Cries of bribery and corruption accompanied the Yazoo Act as it made its way to final passage. Angry Georgians protested the sale in petitions, anonymous newspaper essays, political speeches, and raucous street demonstrations. Despite this swelling opposition, the Yazoo companies completed their purchases, then promptly sold their lands to other, supposedly “innocent,” speculators, most of whom resided in New England. Learning of the circumstances surrounding passage of the Yazoo Act, Georgia’s leading Jeffersonian Republican, U.S. Senator James Jackson, resigned his seat and returned home determined to overturn the sale. Making skillful use of county grand juries and newspapers, Jackson and his allies gained control of the next session of the legislature. After holding hearings substantiating corruption charges in the sale of the Yazoo lands, Jackson himself dictated the terms of the 1796 Rescinding Act, nullifying the sale, which was signed by Governor Jared Irwin, a Jackson ally. 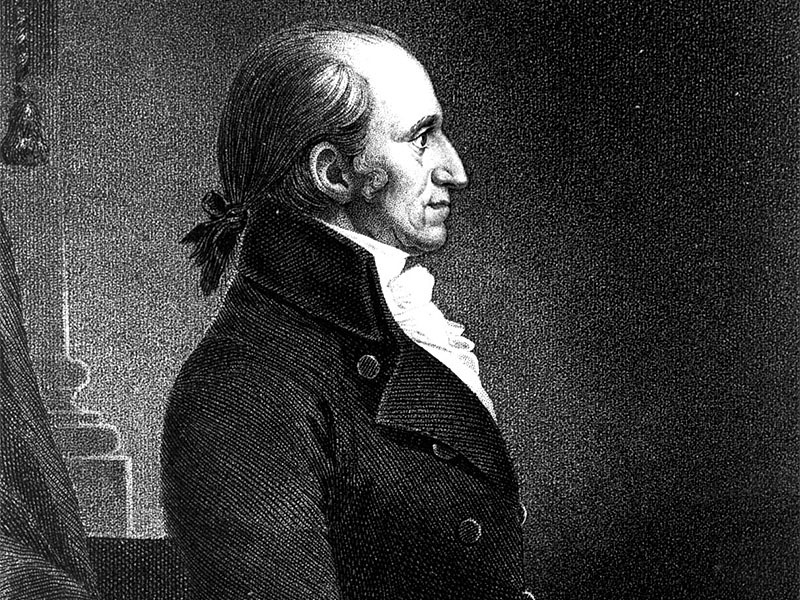 James Jackson also arranged for the destruction of records connected with the sale; ensured that state officials tainted by Yazoo were denied re-election and replaced by his own anti-Yazoo, pro-Jefferson supporters; and, in 1798, orchestrated a revision of the state constitution that incorporated the substance of the Rescinding Act. The Yazoo Fraud played a major role in determining that political party development in Georgia would be very different from most other states in the new nation. There had not been many influential Federalists in Georgia, and most of them were implicated in the Yazoo Fraud. So, beginning in 1795, what mattered in Georgia was not Federalists vs. Republicans, but Yazoo vs. Anti-Yazoo. To prevent speculators claiming lands under the Yazoo purchase from receiving a sympathetic hearing in a Congress still dominated by the Federalists, James Jackson and his lieutenants blocked any cession of the western territory to the national government until Thomas Jefferson’s Democratic-Republican party was in control, after the election of 1800. 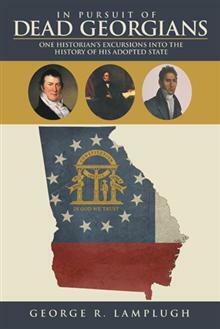 In 1802, commissioners from Georgia, including James Jackson, transferred the lands and the Yazoo claims to other Jeffersonians representing the federal government. Under this so-called “Compact of 1802,” the United States paid Georgia $1.25 million for the Yazoo lands and agreed to extinguish as quickly as possible remaining Native Americans land claims within the state, when that could be done “peaceably” and “on reasonable terms.” This pledge, a product of the turmoil over the Yazoo Fraud, would prove controversial in the years ahead. Northern speculators who had bought land from the Yazoo purchasers pressed Congress for payment, despite the Compact of 1802. After all, they argued, they had bought the lands from the original Yazoo companies and expected to be able to exploit those purchases. But Georgia had cancelled the sale and turned the lands over to the national government in 1802, so, if the “innocent” purchasers were to get any satisfaction, it would have to come from Congress. A key Randolph ally in frustrating the efforts of the Yazoo claimants was Georgia congressman George M. Troup, who honed a powerful doctrine of state rights to do so. Troup argued that the Yazoo Act had only passed because of corruption. The sale had subsequently been rescinded by an outraged republican people determined to recover their landed inheritance from a pack of vile, crooked speculators, as it was their right to do. Thus, to reward allegedly “innocent” purchasers of Yazoo lands would mean that Congress supported the fraud used to separate Georgia’s western territory from its citizens, ignoring state rights in the process. 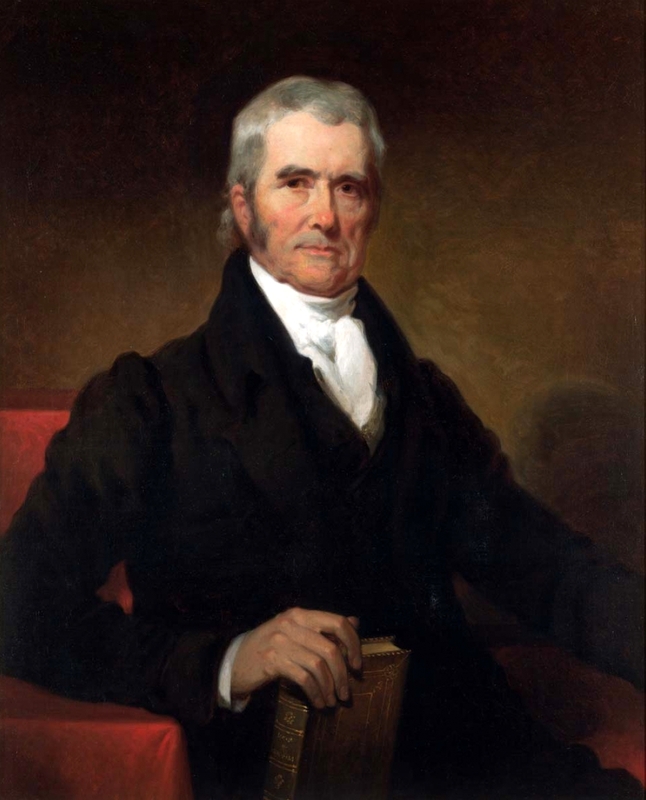 The frustrated Northern claimants finally sued for redress, and, in the case of Fletcher v. Peck (1810), Chief Justice John Marshall ruled for the Supreme Court that, regardless of the corruption allegedly accompanying the sale, the Rescinding Act had been an unconstitutional violation of the right of contract. Rejecting this ruling, Georgia’s congressmen and their allies continued to block efforts to reach a settlement with the Yazoo claimants. In 1814, however, after John Randolph was denied re-election by his Virginia constituents, Congress finally resolved the issue, providing $5,000,000 from the proceeds of land sales in Mississippi Territory to be shared by the Yazoo claimants. Almost five years later, in the spring of 1814, when it was clear that Congress finally was ready to satisfy the Yazoo claimants, angry Georgia congressmen fought a stubborn rearguard action. By that time, however, even the clerk who reported on the speeches for the House journal had had enough. The cost of the “victory” for the Yazoo purchasers was high for the nation’s dominant party, the Jeffersonian Republicans. The long and increasingly bitter congressional debate over Yazoo was one of the factors that split the party after the War of 1812. 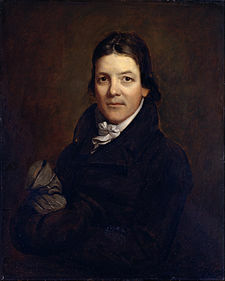 “Old Republicans” like John Randolph, George Troup, and Georgia political leader William Harris Crawford clung to the firmly pro-state rights rhetoric of the party’s founders, Jefferson and James Madison, and saw the settlement of the Yazoo claims as a violation of the rights of the state of Georgia. On the other hand, younger Republicans were eager to put the Yazoo question behind them so they could turn to charting the nation’s new course. They were generally less ideological, more pragmatic, than their elders and supported significant departures from Jefferson’s principles: the re-establishment of the Bank of the United States; passage of the nation’s first protective tariff, in 1816; and government financial support for costly internal improvements like canals and turnpikes, as envisioned by Republican Congressman Henry Clay of Kentucky’s so-called “American System.” This division helped produce two new national parties, the Democrats and the Whigs, in the 1820s. This entry was posted in American History, George M. Troup, Georgia History, Historical Reflection, History, James Gunn, Research, Retirement, Southern (Georgia) History, Southern History, Uncategorized, William Harris Crawford, WP Long Read and tagged Compact of 1802, Fletcher v. Peck (1810), George M. Troup, Georgia, James Jackson (Georgia political leader), John Randolph of Roanoke, Rescinding Act (1796), Yazoo Land Fraud. Bookmark the permalink. Nothing like the Old Southwest to expose the reality of the “Early Republic”. Your piece reminds me how the chaos of the old borderlands drew me to me first serious research and has (as I approach anecdotage) found me once again reading rather deeply in the works of my first serious “historical love”. What a shame that Gunn and his buddies have passed into relative obscurity with Alexander McGillvary, William Augustus Bowles and William Panton. It is damp and dreary today near the bay in old West Florida.